Home Biafra Featured Biafra: Can Biafra Be Restored Without Force? 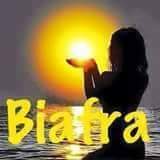 Biafra: Can Biafra Be Restored Without Force? Frankly, with the ideology of Nnamdi Kanu(IPOB), Biafra can be realized without a gunshot; But the Nigerian government do not understand the peaceful language of the Biafrans, and because their cow brain uses finger battery, they thought Referendum means war, and thereby want to turn the eastern region also called Biafra land into a war zone for continuous oppression, marginalization and so on ; Since oppression is maintained by force, freedom cannot be given but taken. Referendum is the only way of preventing war, but welcome to Nigeria where Referendum means war; IPOB has never killed anyone despite been provoked on severally, yet they are tagged terrorists, they go out on a peaceful protest for sensitization and for Referendum to be conducted, and they get killed, cores abducted, arrested, detained without trial . Since they have been labelled terrorists, Nnamdi Kanu's(IPOB leader) house turns to Nigeria army training ground and turning the entire eastern region into a war zone. What am I saying? If resistance is not applied now, by the time Referendum date finally comes, all our gallant men and women who fearlessly go out to protest and get killed just as they are being killed now, who then will defend our land when we finally realize that resistance to this injustice is the best option? Who then will fearlessly come out and vote, because even if the UN conduct Referendum for Biafrans, the zoo can never allow it to be peaceful, check it out yourself, if the zoo government conduct their own selection or election as they falsely call it with heavily armed military men just to win, how do you think the Referendum day will be? Or do you expect this facebook Biafran warrior that cannot even stand if they see a policeman with an ordinary pistol to come out and vote? I am not calling for war because war is not and cannot be the first and best option in our restoration effort. Therefore Referendum should as a matter of urgency be conducted or IPOB leadership should give a go-ahead to resistance to this injustice, killings, and intimidations.